(SEMA) since May 2006. In this role, Waraniak helps leading automotive aftermarket companies understand the latest, as well as emerging vehicle technology challenges, develop solutions and capitalize on new revenue and business opportunities – whether it’s vehicle dynamics, vehicle emissions, green performance, electronics or connected and autonomous driving. With more than 25 years of diverse experience at automotive, motorsports, aerospace and consumer products companies, Waraniak is an expert in vehicle systems engineering, motorsports program management and lean product-process development. 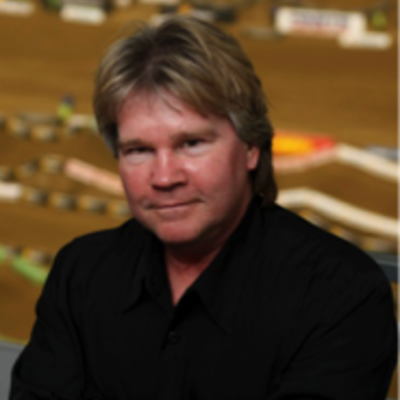 He serves as an industry leader and advocate for SEMA members by collaborating with automakers, suppliers and technology companies for successful performance product development and systems integration. With today’s smart vehicles being controlled and monitored by hundreds of microprocessors, active sensors, and millions of lines of embedded software, Waraniak utilizes his creative ideas and background in systems engineering and integrating automotive with consumer electronics to connect automotive parts manufacturers with the resources and capabilities to manage changing and disruptive vehicle technologies. He created, launched and leads SEMA’s Vehicle Dynamics Program, which focuses on vehicle dynamics performance and Electronic Stability Control compliance of aftermarket-modified vehicles to help SEMA members adapt to the latest federal regulations and safety standards. John is currently a director of the Carroll A. Campbell Jr., Graduate Engineering Center Industrial Advisory Board at Clemson University where he is helping to develop, train and mentor tomorrow’s automotive engineers today and align advanced vehicle technology with next-generation talent development. Prior to joining SEMA, Waraniak held executive management positions with global and entrepreneurial companies, including TATA Motors, Johnson Controls, General Motors, Hughes Aircraft, Northrop and No Fear. In addition to helping these companies achieve lean product-process operations, innovative customer-centric growth, brand leadership and improved profitability, Waraniak led the transfer of technology and best practices from Hughes Aircraft to General Motors to deliver industry-leading products for active safety, performance, vehicle electronics and winning motorsports programs. He was one the founding members of the pioneering GM Sports Medicine and Safety Program where he helped lead the development of many of today’s race safety innovations including the HANS device and Event Data Recorders. John was also a lead engineer for structural integrity and damage tolerance design on the B-2 stealth bomber program with a top secret security clearance while at Northrop. Waraniak earned a bachelor’s degree in mechanical engineering from the University of Michigan. He has a master’s degree in mechanical and industrial engineering from the University of Illinois and a master’s degree in engineering management from West Coast University. He also graduated from the California Institute of Technology’s Executive Engineering Management Program. Born in the Motor City of Detroit, Michigan, Waraniak is an avid auto industry, action sports and motocross enthusiast. He lives in West Bloomfield, Michigan with his wife Terri and has two sons, Scott and Jeff.